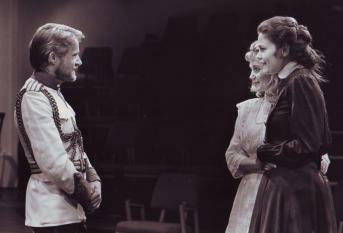 Norbert appeared in The Three Sisters in Dallas in 1985, with Candy Buckley, Linda Geringer and Jerri Leer at the Dallas Theater Center. 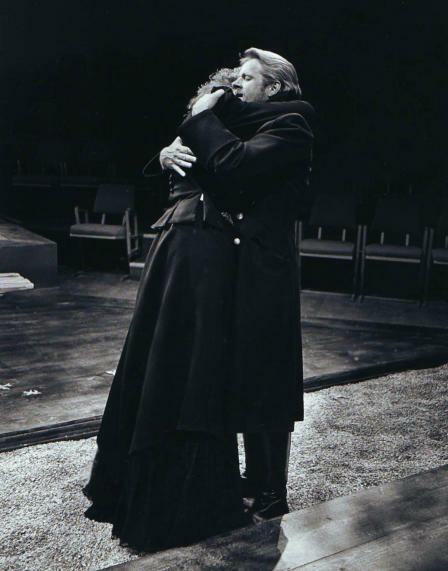 This was the first play that Chekhov wrote specifically for the Moscow Art Theatre. Like many of Chekhov's works, it is about the decay of the privileged class in Russia and the search for meaning in the modern world. In the play, Olga, Masha, and Irina are refined and cultured young women in their twenties who were raised in urban Moscow but have been living in a small, colorless provincial town for eleven years. With their father dead, their anticipated return to Moscow comes to represent their hopes for living a good life, while the ordinariness of day-to-day living tightens its hold. First performed in 1901, The Three Sisters is a perennial favorite of actors and audiences. 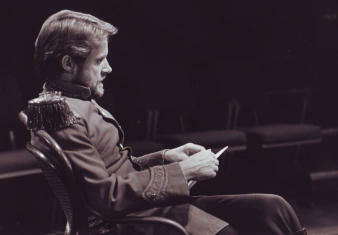 Norbert has the role of a soldier in this play, Aleksandr Ignatyevich Vershinin, a Lieutenant Colonel in charge of the battery. Vershinin is a true philosopher. He knew the girls' father in Moscow and they talk about how when they were little they called him the "Lovesick Major." In the course of the play, despite being married, he enters into an affair with Masha but must end it when the battery is transferred. He frequently mentions how his wife regularly attempts suicide. His first act speech about the hope he has for civilization speaks directly to Masha's melancholic heart, and, upon hearing it, she declares "I'm staying to lunch."